After a work injury, filing for and obtaining workers’ compensation benefits can be a frustrating process. It's become more frustrating over the past several years with managed care, constant legislative attempts to "revamp the system" [you've heard the endless drumbeat "waste, fraud and abuse" during election seasons] and court decisions that have created additional hoops for injured workers to jump through to establish eligibility for benefits in what was a "no-fault" program. The system operates on specific deadlines with large amounts of paperwork. Employers and the Bureau of Workers' Compensation (BWC) typically have competing interests against the injured worker and the whole situation can feel overwhelming. This is especially true when employees are also managing the physical and emotional pain of their injuries. It is understandable that injured workers and their families make missteps along the way. Already this year, more than 10,500 of the 20,971 workers’ compensation claims filed in Ohio were denied. That means that only about half of the work injury claims result in benefits being paid. Often these denials result from avoidable mistakes. Not reporting the injury. Ohio law provides injured workers with up to a year to file a claim for workers’ compensation benefits, depending on the injury (two years for Occupational Disease claims). However, as time passes it can become more difficult to obtain benefits. 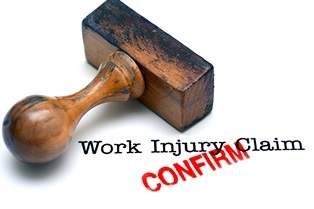 It is important for injured workers to report their injury to their employers soon. Typically, employers will ask employees to complete an incident report and provide information about getting started with a workers’ compensation claim. If your employer does not require this, it is still a good idea to report the injury in writing, as this creates a clear timeline and notice of injury. Workers who fail to do so may miss the statute of limitations for a claim, or the delay in filing may make it appear that the injury is not as severe as the worker claims. Not seeking medical care or not following the doctor’s treatment plan. Workers’ compensation benefits exist to treat injury and help workers recover. If a worker does not seek care, it may seem as though there is no injury. And failure to comply with a doctor’s prescribed plan will be viewed negatively by the BWC. If no injury exists or no treatment is necessary, the BWC will likely determine that no benefits are warranted. Talking to the Third Party Administrator. Make no mistake about the intentions of a Third Party Administrator (TPA)—they are out to protect the interests of their client, the employer (NOT YOU!). Employers, whether state-funded through the BWC or Self-Insured, want to reduce their financial responsibility in every case and they will use any information they can uncover to achieve that goal. While TPA representatives may seem friendly and non-threatening, they will not hesitate to use anything you say against you. Avoid talking with them. If you must speak to them, offer as little information as possible. Stick to the most basic details of your situation—when and where the injury occurred, what body parts are affected, what witnesses were present. Do not comment on your physical or emotional state or about past injuries. Until you are healed and cleared by a doctor, the future of your health can change–but TPAs will use against you any hopeful comments you make about a quick return to work if your condition persists or worsens. Signing documents without a lawyer. NEVER sign your name to anything without having the document reviewed by an experienced attorney. Once you agree in writing to a settlement offer, for example, your claim is closed. It is typically impossible to revisit your claim if you are later unhappy with your settlement. Often, companies or their TPAs will try to push for a quick but absurdly low settlement. You may have much more than you expect, so it is critical that you understand your rights before signing any papers. I have had clients rush to waive an appeal period following a BWC or Industrial Commission decision to expedite payment of benefits only to find they also are now bound by some part of the decision detrimental to them. Orders may be a mixed bag, containing findings helpful to your overall case and others that are harmful (such as wages set absurdly low). Don't presume you will be able to rectify those issues once an appeal period ends or you've waived your appeal rights. Miracles happen but not so often at the Industrial Commission! Not hiring an experienced attorney. There are many reasons injured workers hesitate to hire an attorney. Often, they do not know how to find one, think they don't need one, or worry they cannot afford one. While some simple cases can be handled on your own, the help of an attorney can ensure that you can obtain the maximum compensation you deserve. Attorneys who specialize in Ohio workers' compensation cases intimately understand workers’ rights and have experience negotiating with employers, TPAs and the BWC. Check out an attorney's online reviews to see what their clients and peers say about them. And most workers’ compensation lawyers, including us at Monast Law Office, work on a contingency basis, which means you do not pay attorney fees unless your claim succeeds. Workers’ compensation benefits provide medical care and wage replacement vital to injured Ohio workers. The outcome of your claim can affect you and your family for years to come–shouldn't you give yourself the best possible chance for success? Request a copy of our free book, The Worker’s Guide to Injury Compensation in Ohio, to learn more about your rights, the workers’ compensation system, and how we here at Monast Law Office may help. There's no obligation–what's most important to know right now is that YOU have the power to make the best decision you possibly can about your workers' compensation case. My brother feels like he wasn't properly compensated by his work for a recent injury so thanks for sharing this. I like your point about choosing an attorney with lots of experience. I'll suggest he consult a few law firms so he can find someone that has dealt with similar cases. Thanks for this useful information. Through these tips one can adhere before filling a claim. Thanks again and keep on posting the same.